The Nigerian Senate on Wednesday, moved to carry out clinical investigation into NNPC’s business concern, NNPC Trading limited due to large scale corruption. This follows a motion sponsored by Senator Samuel Anyanwu, Chairman, Senate Committee on Public Petitions, Ethics and Privileges. The senate is to investigate among other things the operation a foreign company, Duke Oil, which was allowed to operate in Nigeria without paying tax as part of its statutory obligations. The senates believes that Duke Oil was not originally meant to lift crude oil. Consequenytly, Senator Kabiru Marafa, urged the Senate to set up a committee to investigate and report back with immediate effect. The suggestion was upheld through prayers. 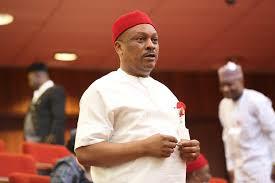 He, however, drew the attention of the Senate to the squabble between the Minister of State for Petroleum,. Mr. Ibe Kachikwu and NNPC’s. GMD, Maikanti Baru. Marafa urged the Senate to investigate issues raised in the memo to President Buhari by the Minister of State for Petroleum so as to nip sabotages that might arise from the frictions. “Mr President, distinguished colleagues, the media has been awash with memo raised by the Minister of State for Petroleum, accusing the NNPC GMD, and it would be right for the upper chamber to wade in,” he maintained. Determined to carry out investigations, Senate President, Dr. Abubakar Bukola Saraki constituted a committee to investigate activities of the NNPC and report back to the Senate.